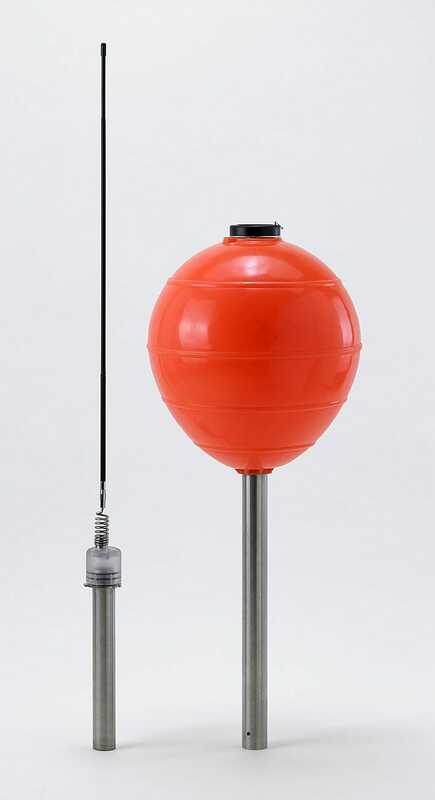 W880 is a radio beacon active in the HF band to signal fishing systems lost or abandoned in the sea, e.g. longline or sealine fishing systems.By sending out a message at (programmable) time intervals,it is possible to determine, via a special on-board W830 reception system, the position of longlines, any unexpected drifting due to line breaking and estimated time of arrival. efforts ensure a prolonged working time – with the W880 radio beacon able to operate for up to 10 days (according to message transmission time intervals). Any information received from theW880 radio beacon is available through the W830 reception system which, with the support of navigation maps, provides a general overview of the longlines. Distance : up to 50 nm. Reinforced lid for high pressure resistant, durability and wathertight . Easy programmable (rate and flash mode) without open the buoy. Does not require dedicated HF receiver. The signal is directly processed by the W830 receiver connected to your computer via USB port.